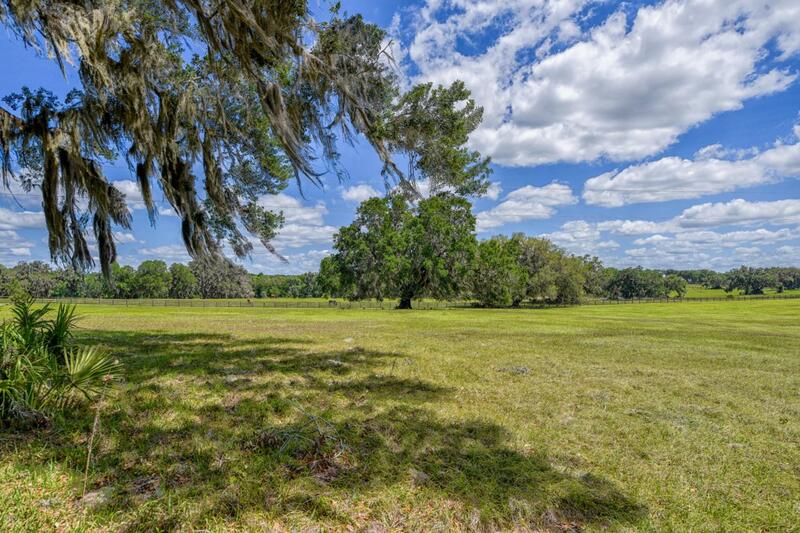 Beautiful Pastures is the site to build your new home, over 126 fenced acres of rolling pastures in the middle of Central Florida's horse country. Conveniently located between Ocala and Gainesville minutes to I-75 and horse events makes this the perfect spot for your farm. Property has a pole barn that can easily be finished to include stalls,large paddocks with run-ins. Back pasture is currently being used as an income producing hay field. Relax after a day of riding in the pool with deck that was converted from a windmill water reservoir. Three bedroom, two bath mobile home and RV parking complete your new farm.